Whistleblowers who report corporate fraud or other misconduct to the government could receive sizable cash awards under new rules adopted Wednesday by federal regulators. 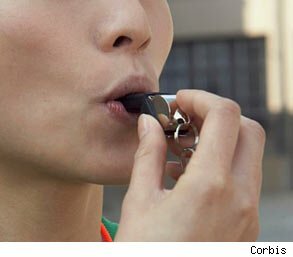 A divided SEC voted 3-2 to adopt the new whistleblower program. The two Republican commissioners objected. The program was mandated by the financial overhaul law enacted last year. It was contested by big U.S. companies. They argued that whistleblowers should first have to tell their companies of misconduct and give them a chance to correct problems before informing the SEC. The program was mandated by the financial overhaul law enacted last year. It was contested by big U.S. companies, like AT&T Inc., Best Buy Co., FedEx Corp., Google Inc., Target Corp. and Verizon Communications Inc., in addition to the U.S. Chamber of Commerce. They argued that whistleblowers should first have to tell their companies of misconduct and give them a chance to correct problems before informing the SEC. Otherwise, the corporations contend, it will take longer to address wrongdoing..
On the other side, advocates and lawyers for whistleblowers say that they would be discouraged from reporting wrongdoing if required to inform company officials first. The new rules would seek to discourage employees from bypassing their companies' compliance programs. Once employees report potential wrongdoing to their company, the SEC would officially designate them as whistleblowers, potentially eligible for awards -- provided that they give the SEC the same information within 120 days. "It is the whistleblower who is in the best position to know which route is best to pursue," she said..